Tópico em '2014' criado por martec em 06/12/2013, 01:06. Sinopse ANN: The story follows Shōyō Hinata, who began playing volleyball after seeing the "small giants" who played the sport when he was in elementary school. He suffers a crushing defeat in his first and last tournament in middle school at the hands of his rival Tobio Kageyama. So, Hinata joins Kurasuno High School's volleyball team, vowing revenge against Kageyama. Esse anime terá 25 episódios. 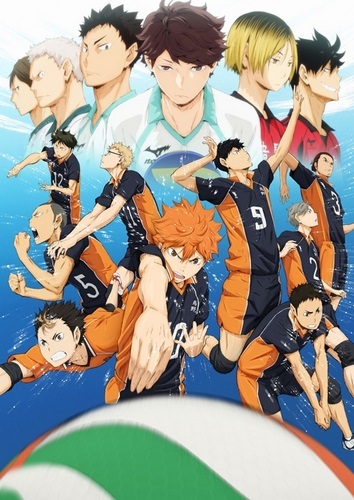 Foi mais fraco do que imaginei, esperava mais desse anime principalmente se tratando de voleibol. Vou aguardar mais alguns episodios. Dropar todos os novos animes de esportes da temporada não é do meu feitio, mas acabou acontecendo. Dropado tbm.